The Wakeboarding Hall of Fame board of directors recently elected Mike Weddington be the nonprofit’s second president. “Mike is bringing a lot of fresh new ideas and a ton of excitement to the board,” said Jim Emmons, WHOF VP and Chairman. Our mission is to honor and preserve wake sports and Mike, with his wakeboarding tenure including his 1995 World Title and strong business sense, was a clear choice to lead the Hall of Fame in the coming years.” Tommy Phillips, the organization’s founder, served three years as President before Weddington was elected last month. Other board members include Shannon Best, Jeff Barton, Maeghan Major-Gale, Rich Goforth, Shaun Moore, Jason Buffalo, Chris Hawkins, Joe Pearson and Surf Expo’s Steven “Fish” Fisher. In other big news, the Wakeboarding Hall of Fame was granted the coveted charity classification as a 501c3 non-profit educational institution by the Internal Revenue Service in June 2017. This makes all donations to the Hall of Fame a tax deduction under federal income tax rules. 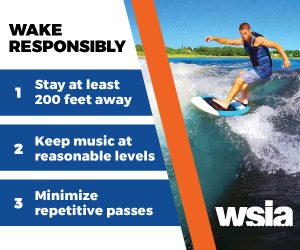 Wake sports fans are encouraged to visit WakeboardingHallofFame.com to make an annual donation that will one day lead to building a museum enshrining inductees and housing wake sports historical memorabilia and artifacts. The 2017 Induction Ceremony, scheduled for Thursday, September 7 at 10:30 a.m. at Surf Expo in Orlando, will bring in a new class of Wakeboarding Hall of Fame members. To view a list of current Hall of Fame members, click here. For induction ceremony attendance information please contact us by clicking here.